The perfect gift for your love! 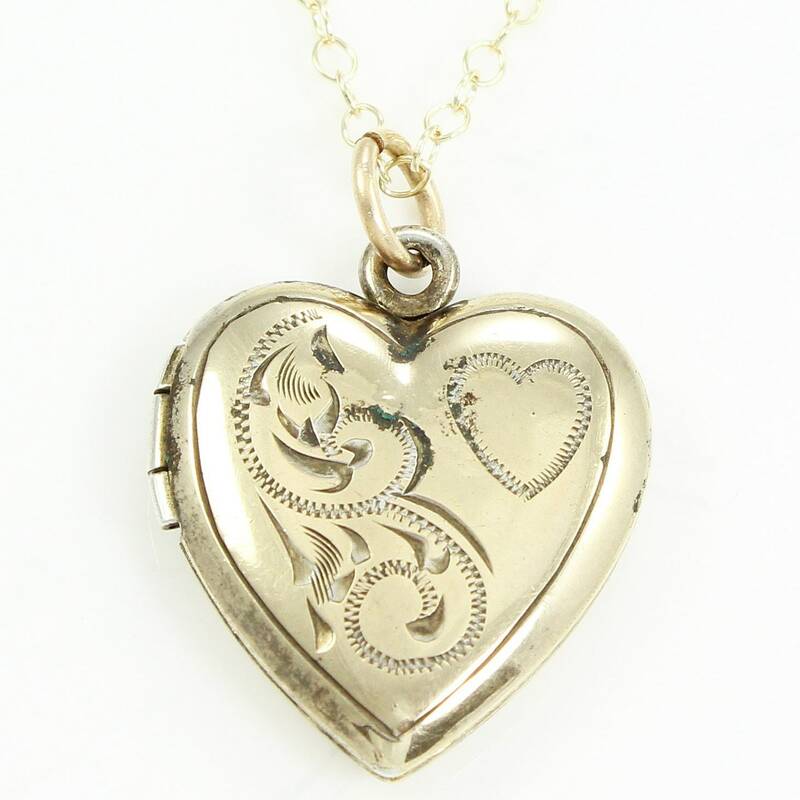 Th is heart shaped pendant is engraved with an elegant paisley design plus a heart. 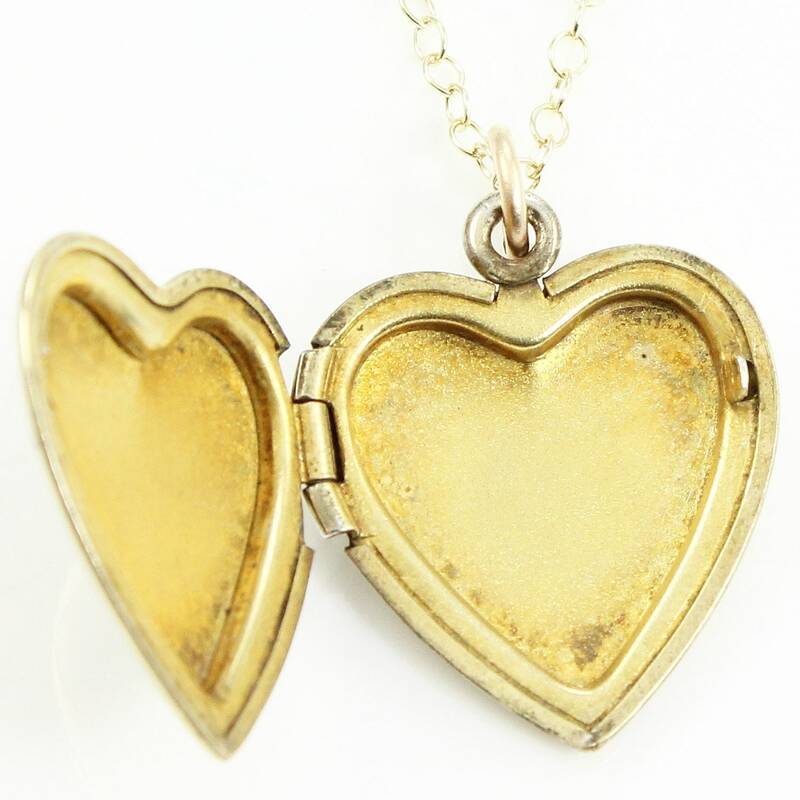 It opens sideways to reveal the perfect place for storing a little note or tiny treasured photograph. 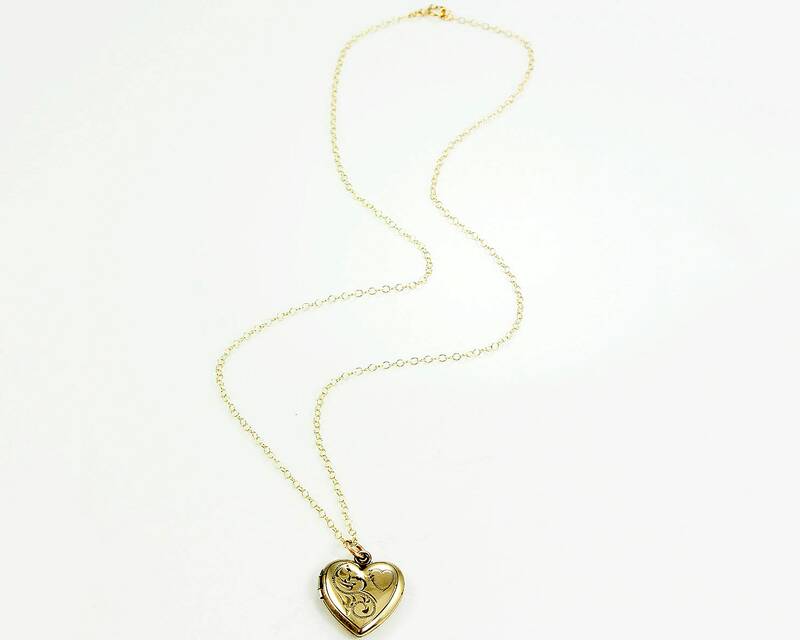 This lovely locket comes with a new gold-filled cable chain. 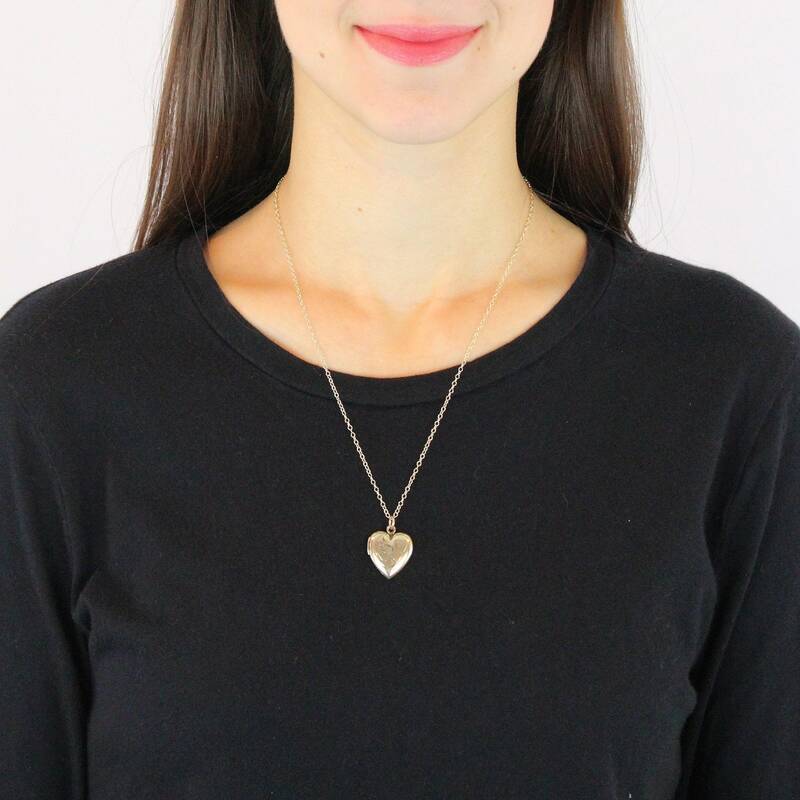 The piece is in overall very good vintage condition, with minor signs of wear noted to the pendant's finish. NO photo frames remain. HALLMARKS/HISTORY: The chain's spring ring clasp is stamped with "14/20 GF" and the hallmark of the Massachusetts-based Garlan Chain Company. 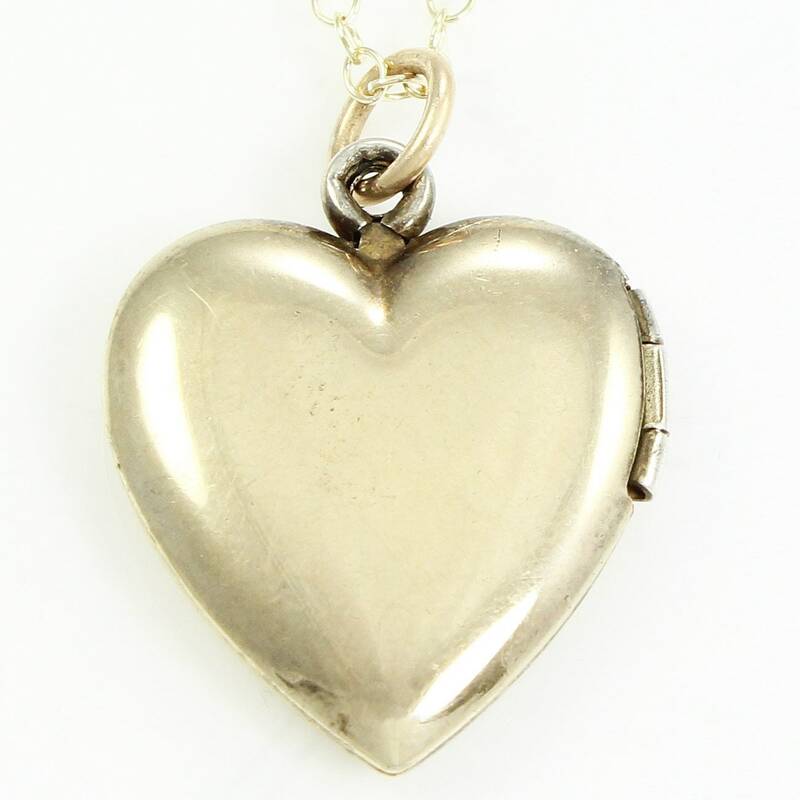 CONDITION: Very Good Vintage Condition Locket with new chain.